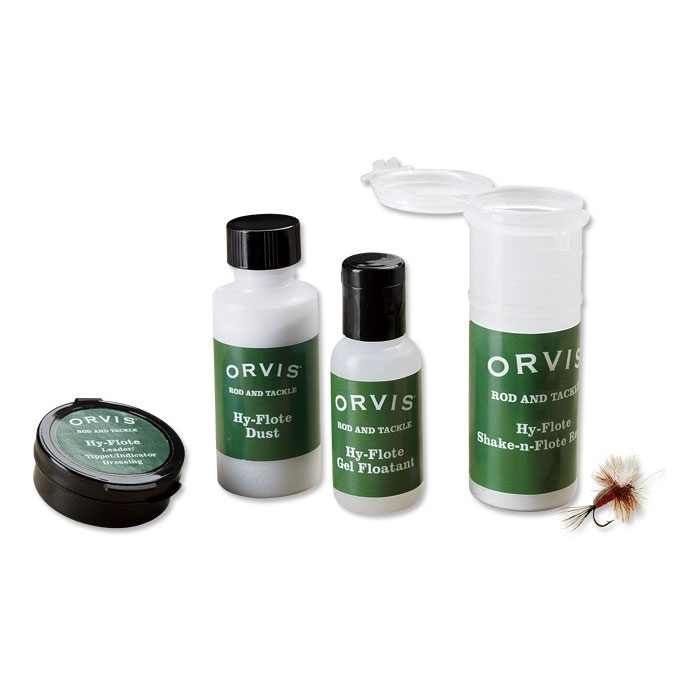 All the fly fishing floatant you need to keep flies afloat in one handy kit: premium gel, paste, powder, and fly dryer. The gel is temperature-stable. It won't melt in the heat or harden in the cold. The paste gives tippet, leaders, and indicator more buoyancy. Powder keeps flies floating high, has a sparkle attractor and creates a realistic air bubble effect. Shake-N-Flote Renew dries flies fast and reinvigorates them.